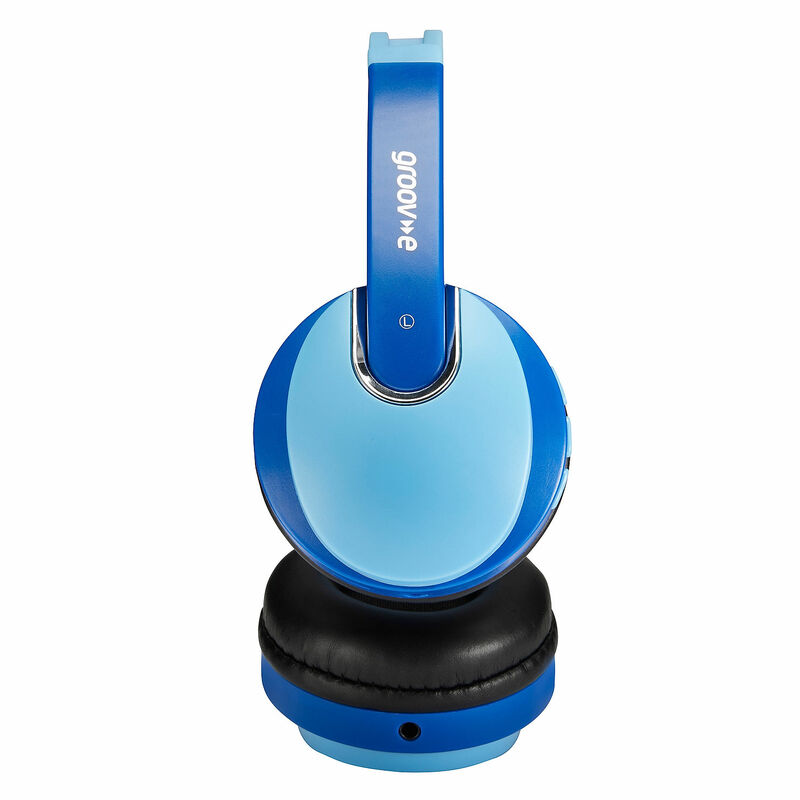 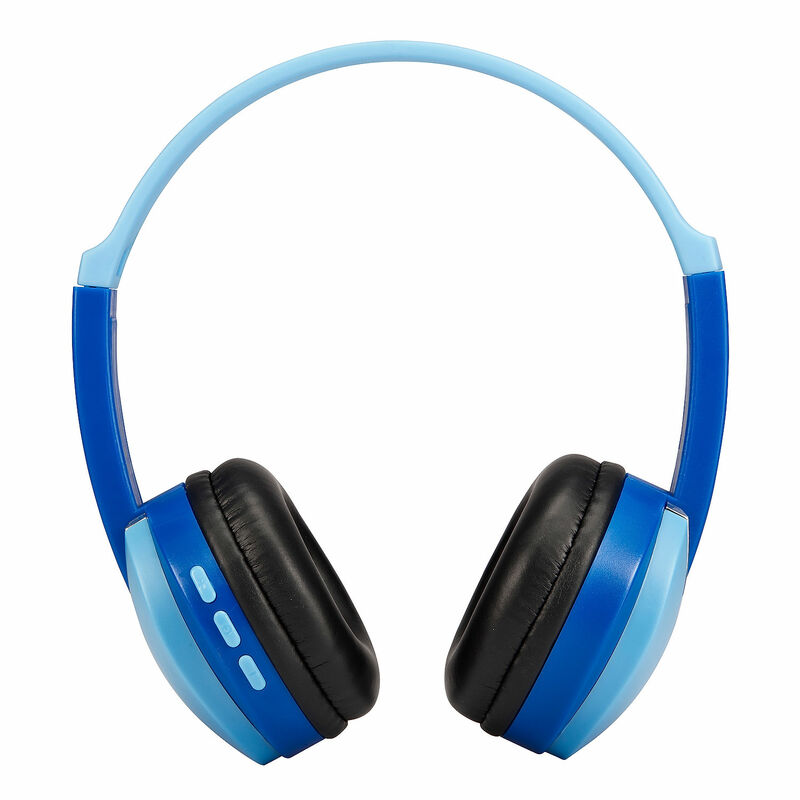 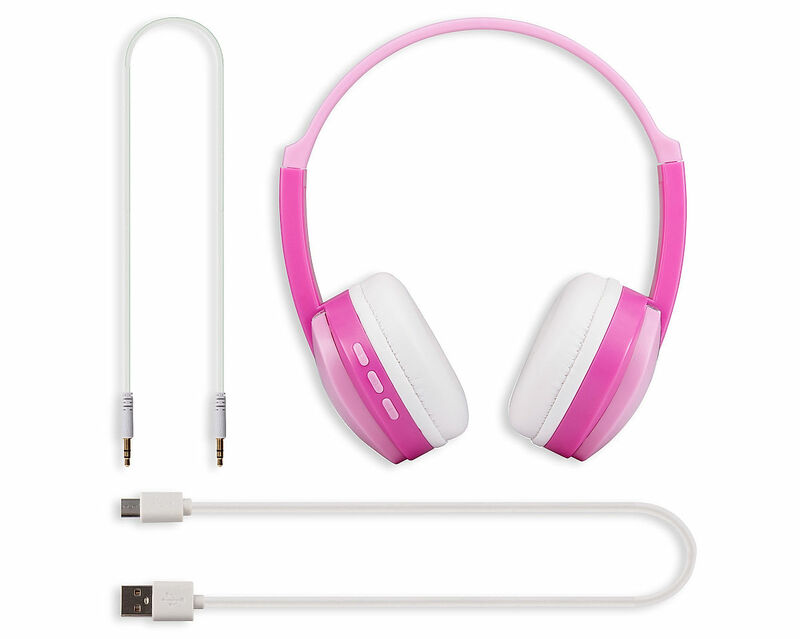 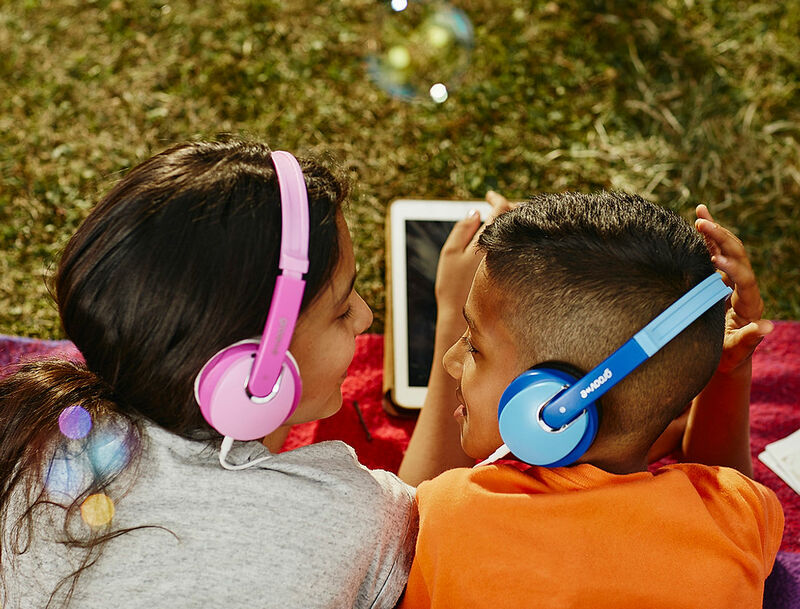 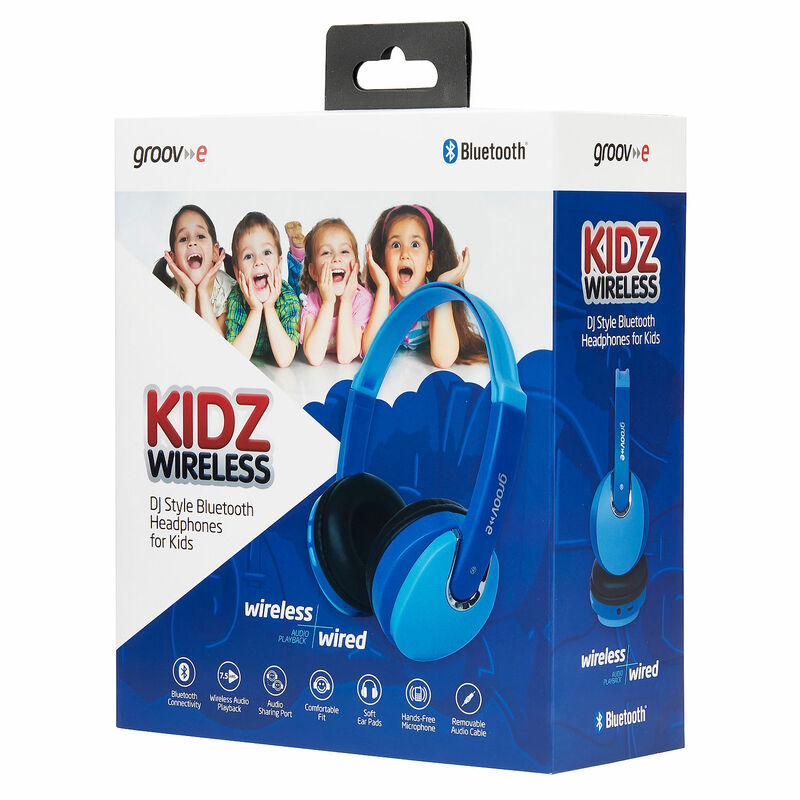 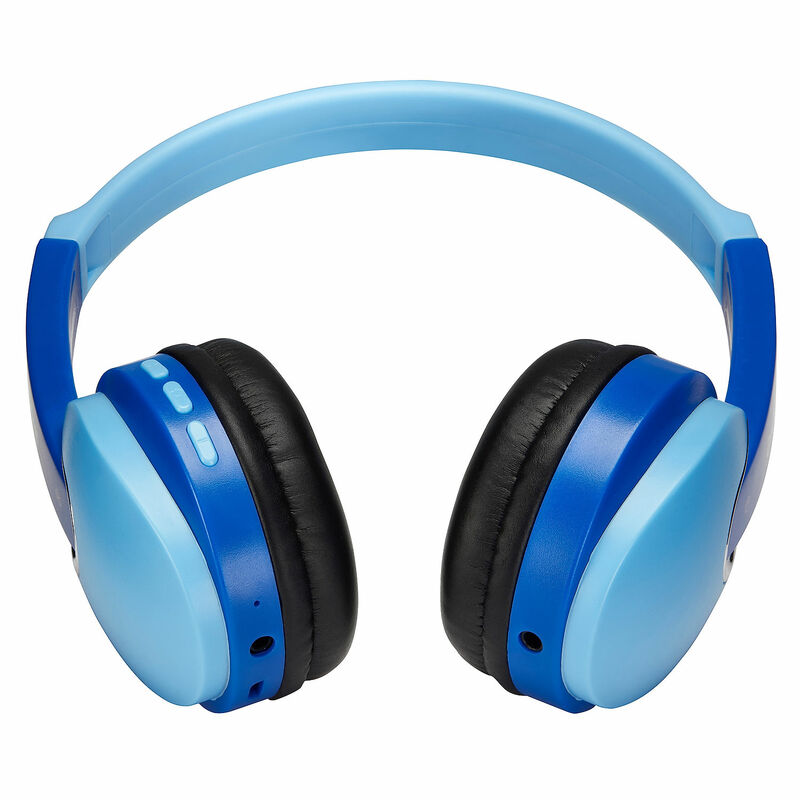 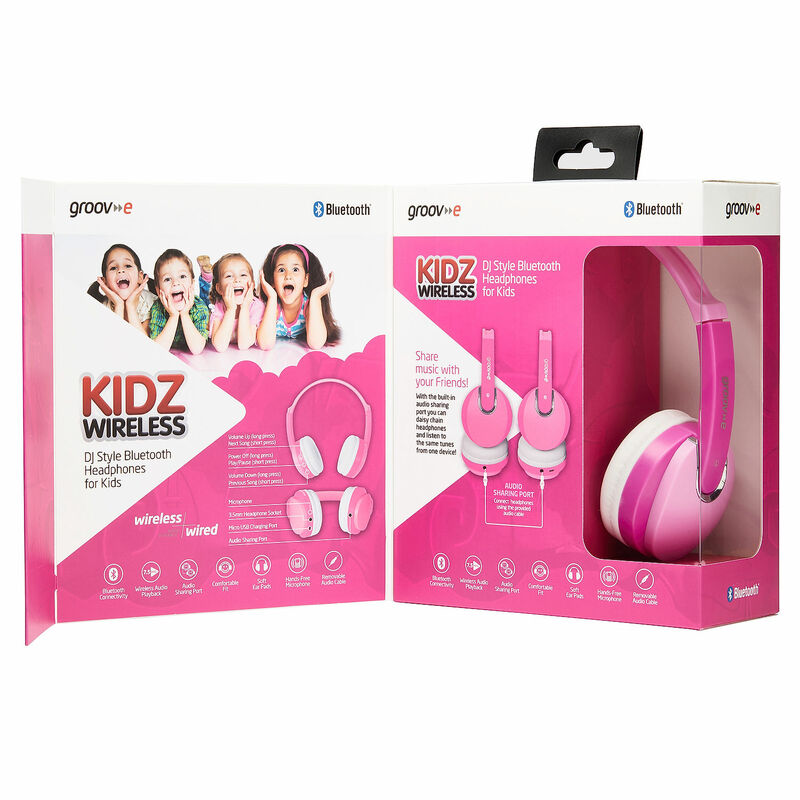 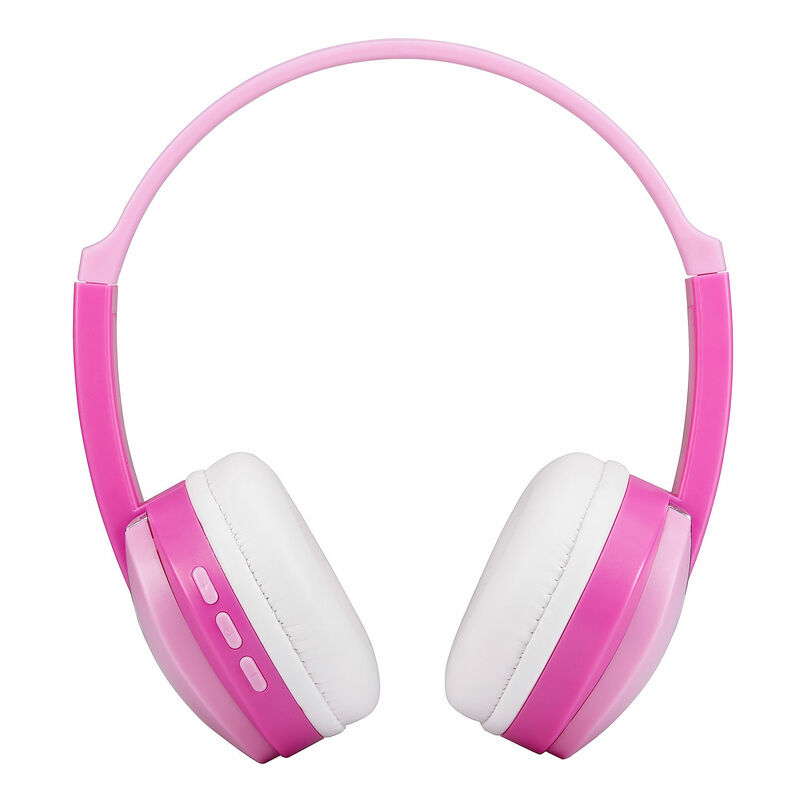 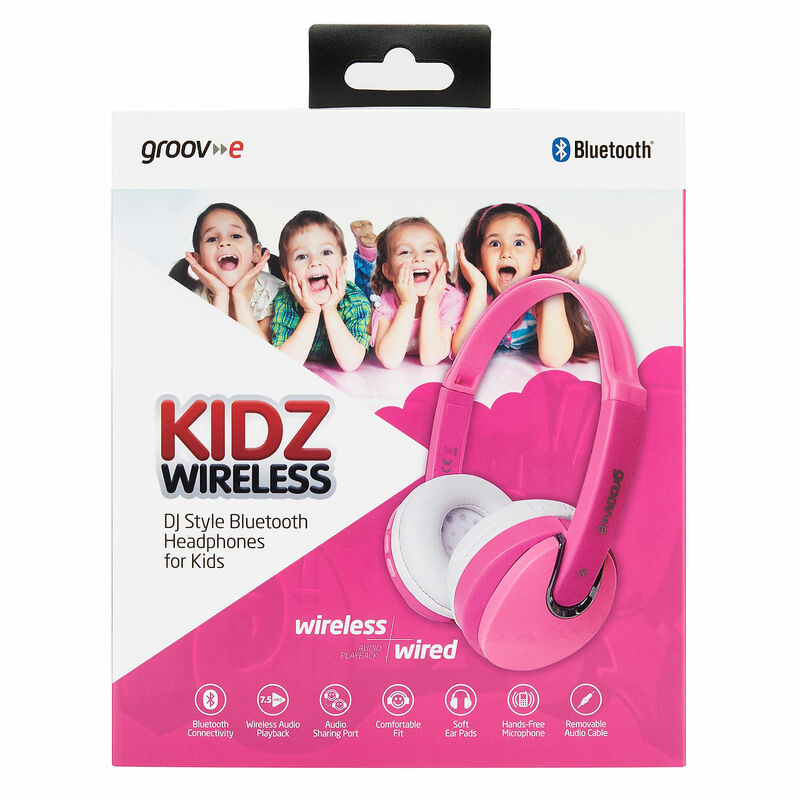 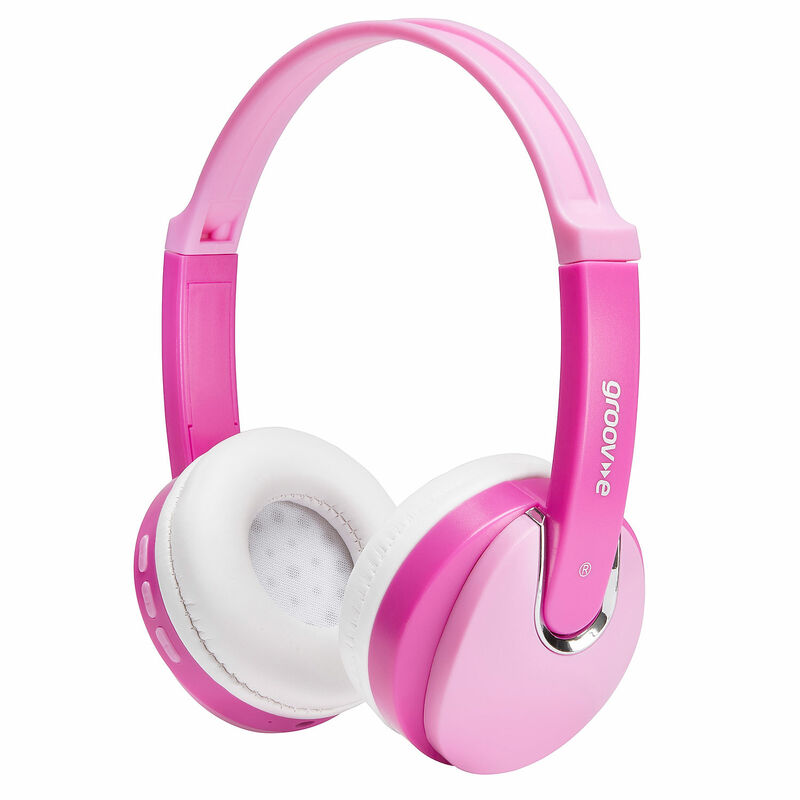 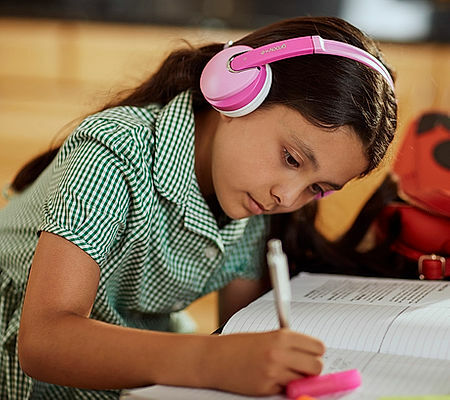 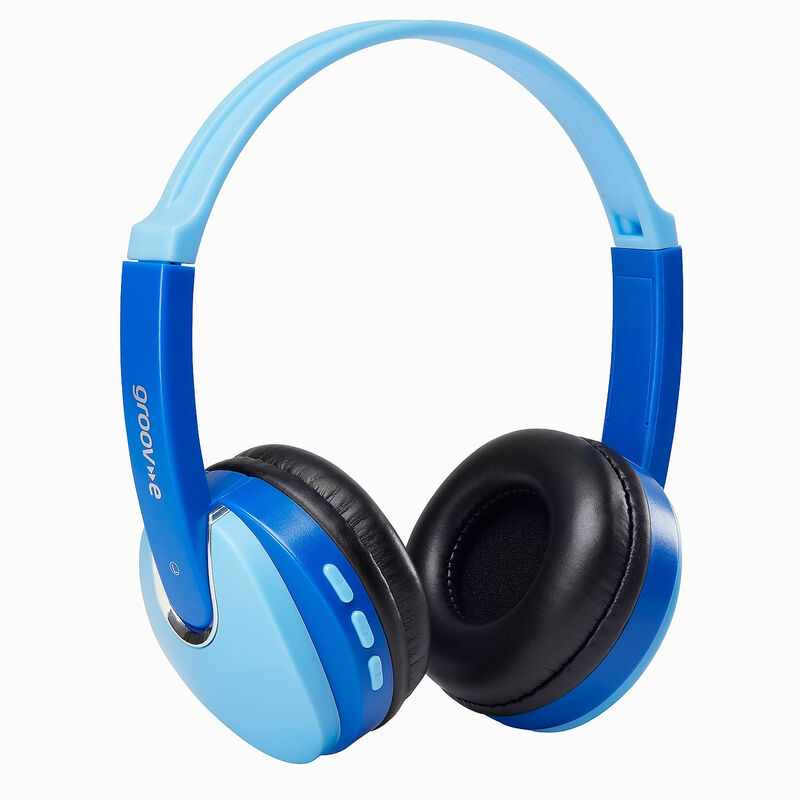 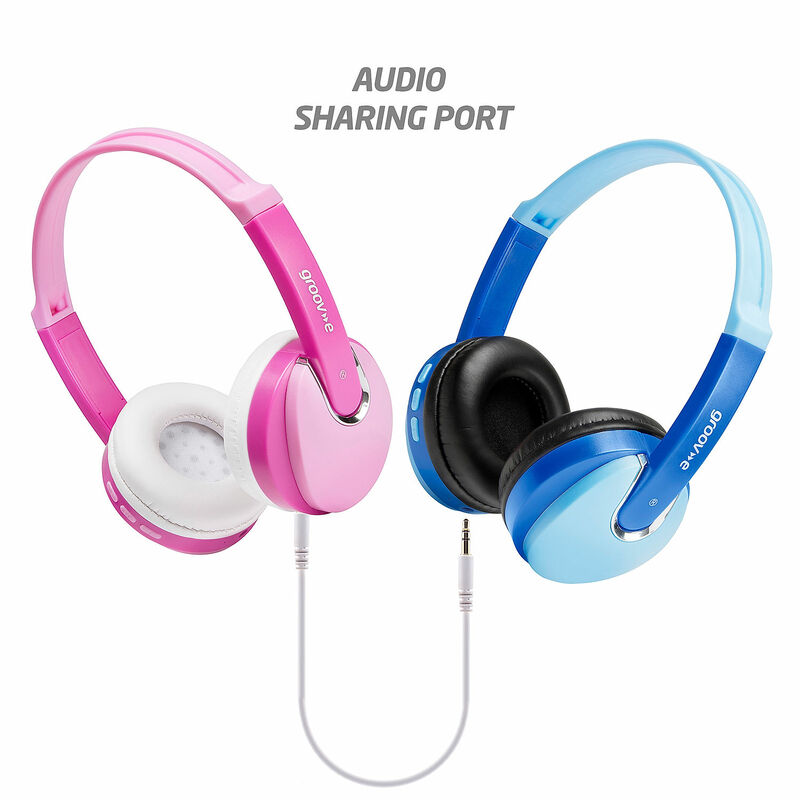 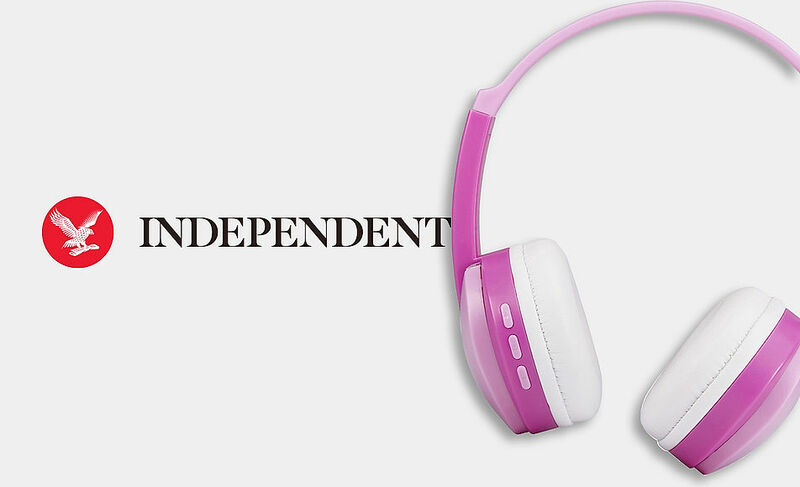 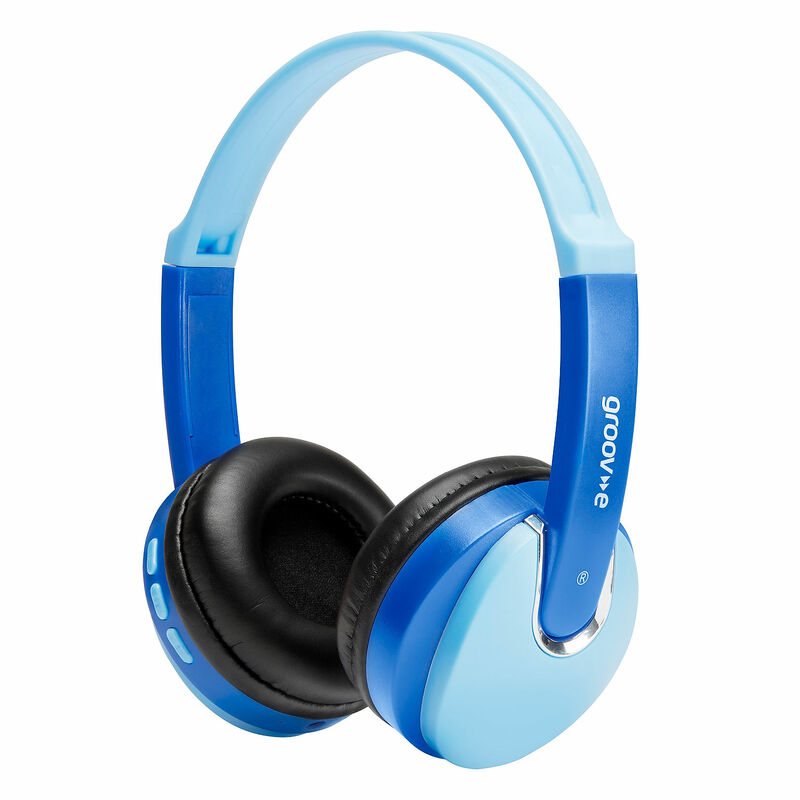 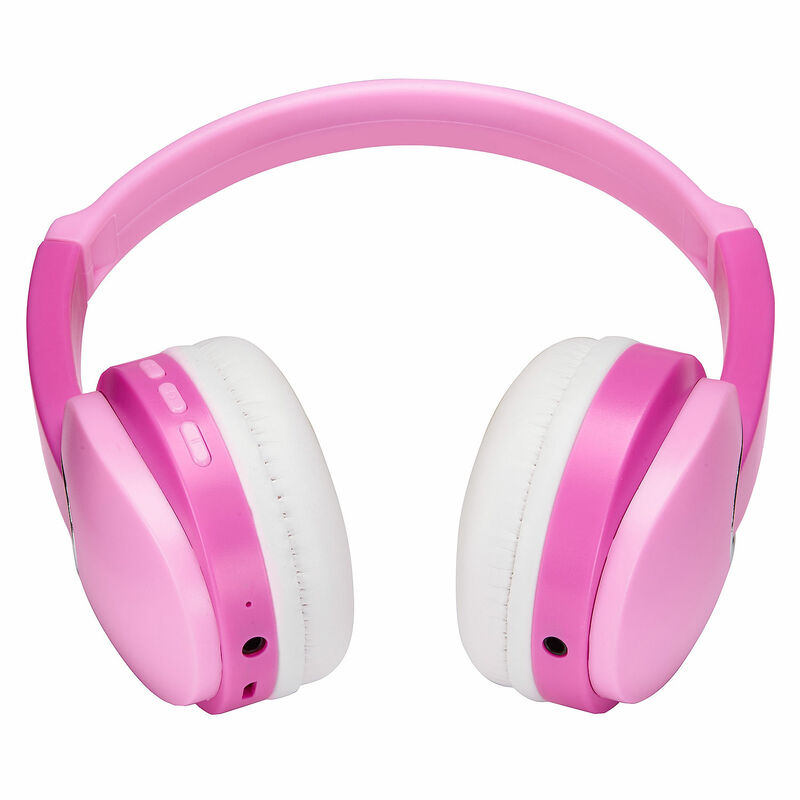 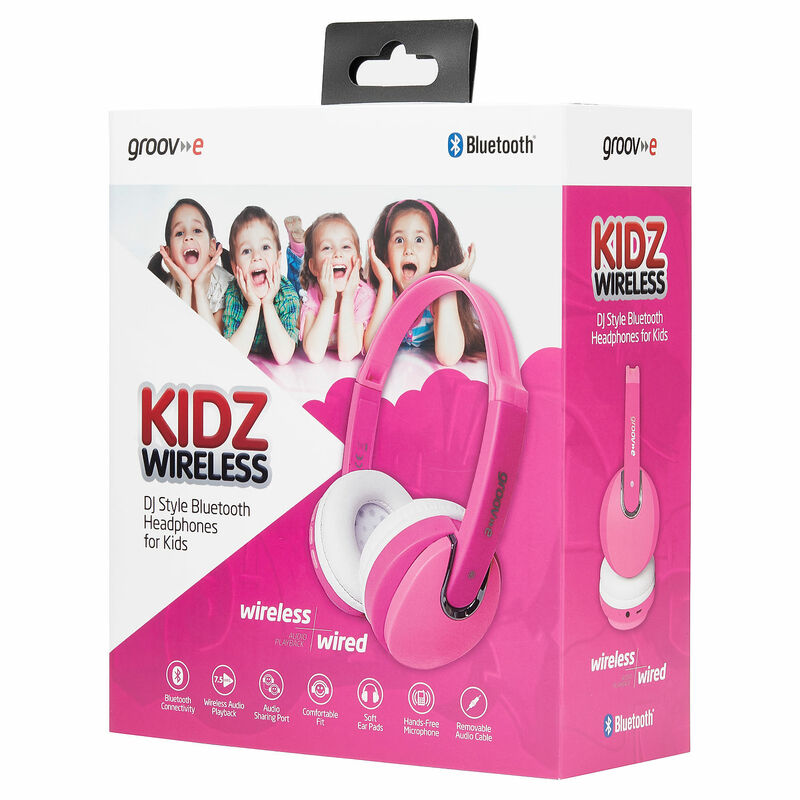 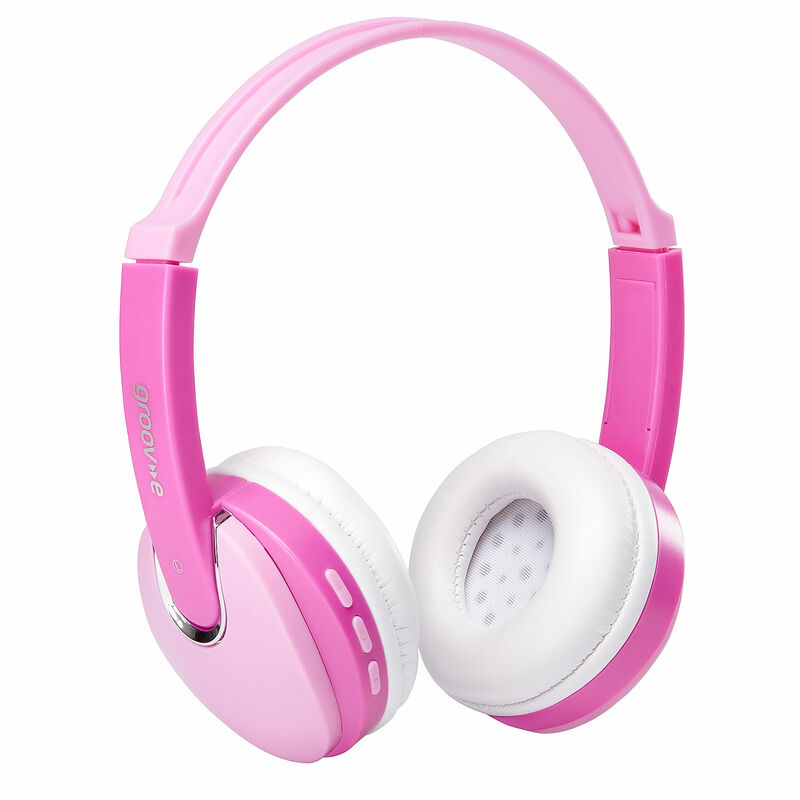 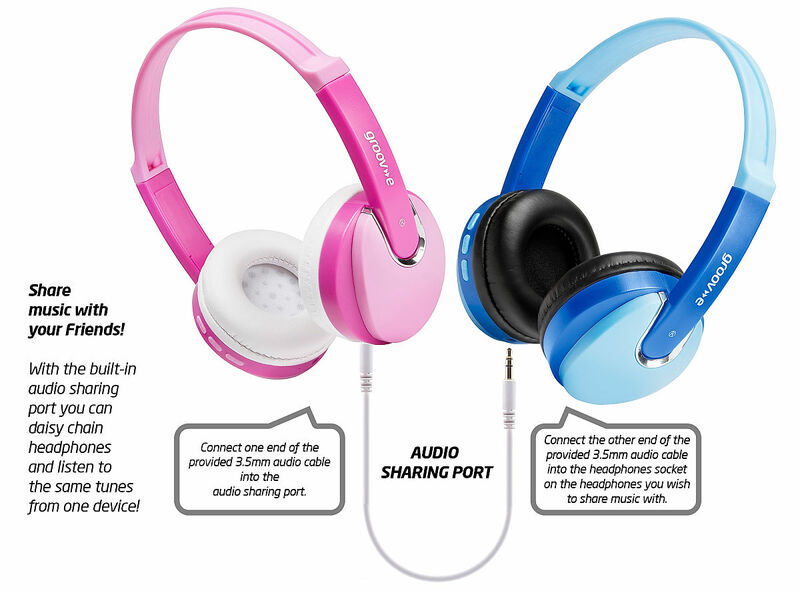 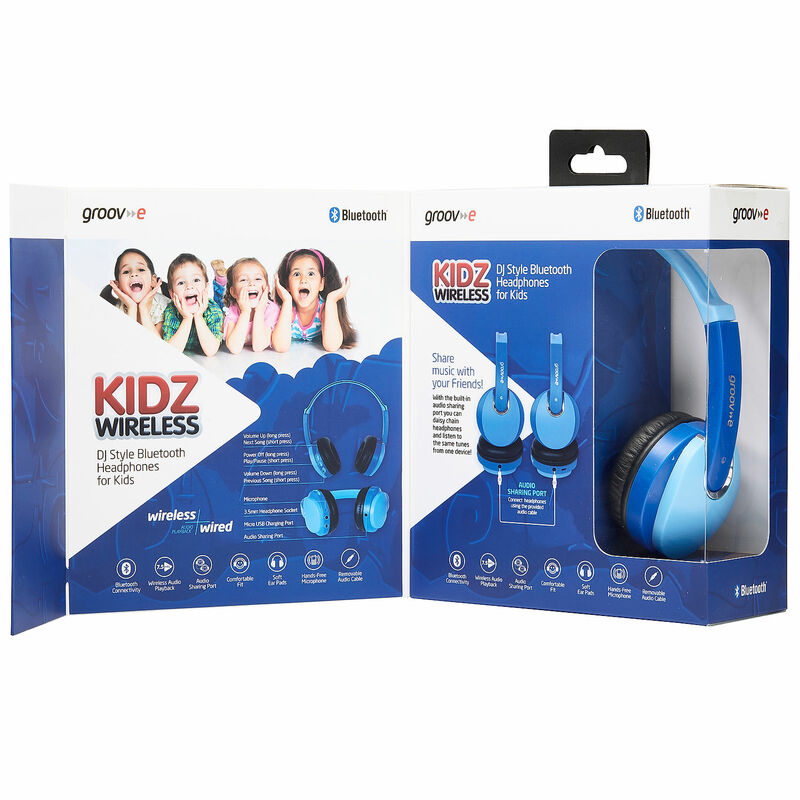 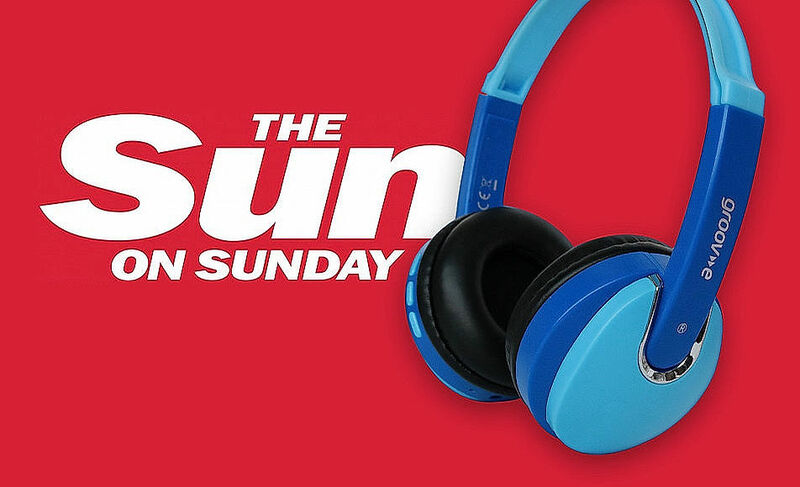 Kidz Wireless headphones feature a ‘daisy chain’ audio-sharing port that lets kids share their music, or watch movies together, making them the perfect option for siblings or friends! 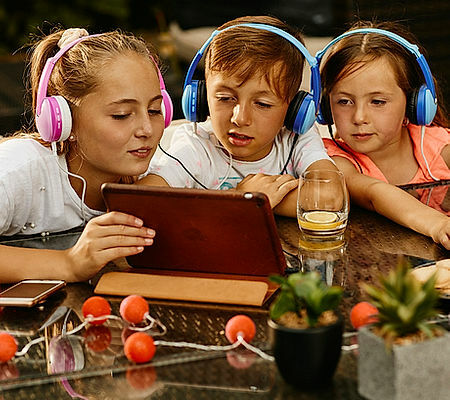 7.5 Hours of wireless playback. 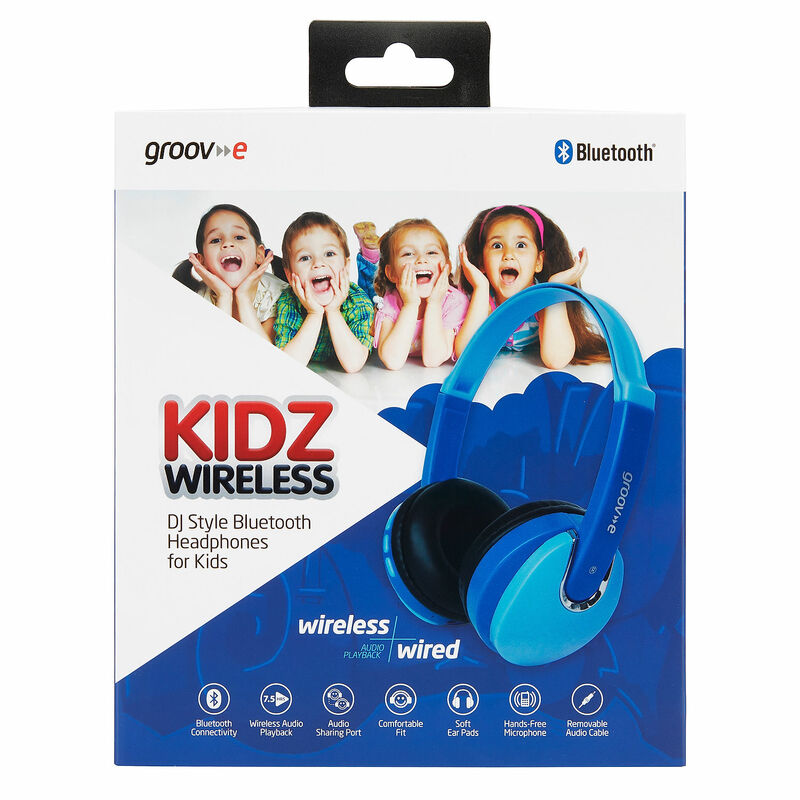 Just connect to any Bluetooth enabled device and go!